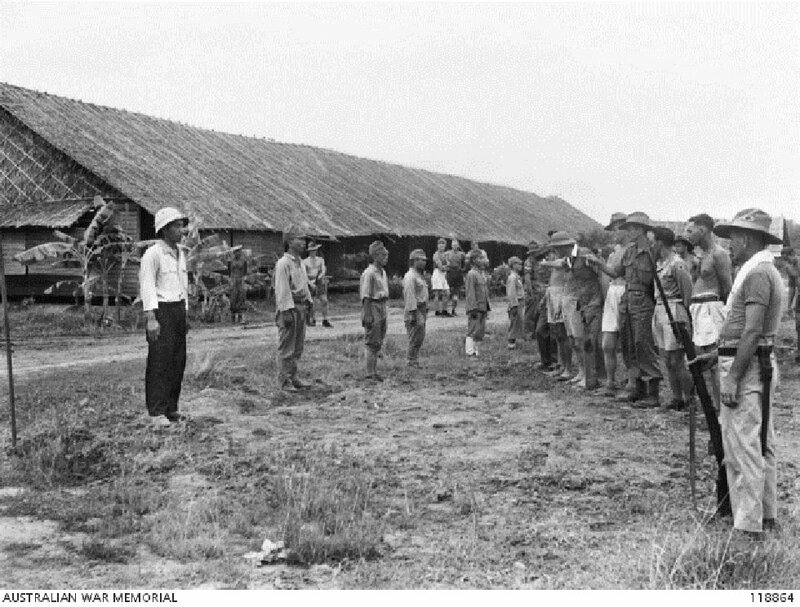 Japanese lined up after being identified by Australian ex-POWs at the Nakom Paton POW hospital camp. They are being identified as those who ill treated POWs in working camps, 19 September 1945. Image courtesy of Norman Bradford Stuckey, Australian War Memorial. 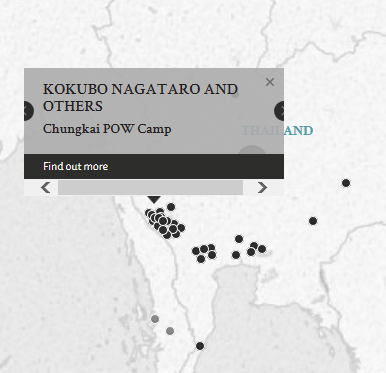 The defendants were charged for the illtreatment of British, Australian and Dutch prisoners of war in Siam (present-day Thailand), that led to the deaths of some and bodily suffering to others. Nobomutsu Takayama was spared from execution on what seemed to be a case of mistaken identity - while he was found guilty by the court, the post-trial JAG review report stated that that the person referred to in the affidavits tendered by the prosecution was another Korean named Takayama Takamitsu. Kokubo, Nagataro. Lieutenant. From Japanese military. From Japan. Guilty. Death by hanging. Sentence confirmed. Terrakoshi, Tsuneo. Sergeant. From Japanese miltary. From Japan. Guilty. Death by hanging. Sentence confirmed. Takayama, Nobomutsu. Korean guard. From Japanese military. From Korea. Guilty. Death by hanging. Sentence not confirmed. No sentence. Stephens, L.B. Major. From British military. Seaki, Kinji. Civilian. Judge, Civil Court Hiroshima. Iwaguchi, Morio. Civilian. Judge, Civil Court Osaka. Ali Zaheer Khan. Lieutenant. From British Indian Army.